Add to calendar 2018-12-11 11:00:00 2018-12-11 16:00:00 America/New_York Veterans Legal Services at Bedford VA 12.11.18 Veterans Legal Services will be at the Bedford VA on December 11, 2018. See Flyer for details.Call Paul Cheney to schedule an appointment: 781-687-2575. 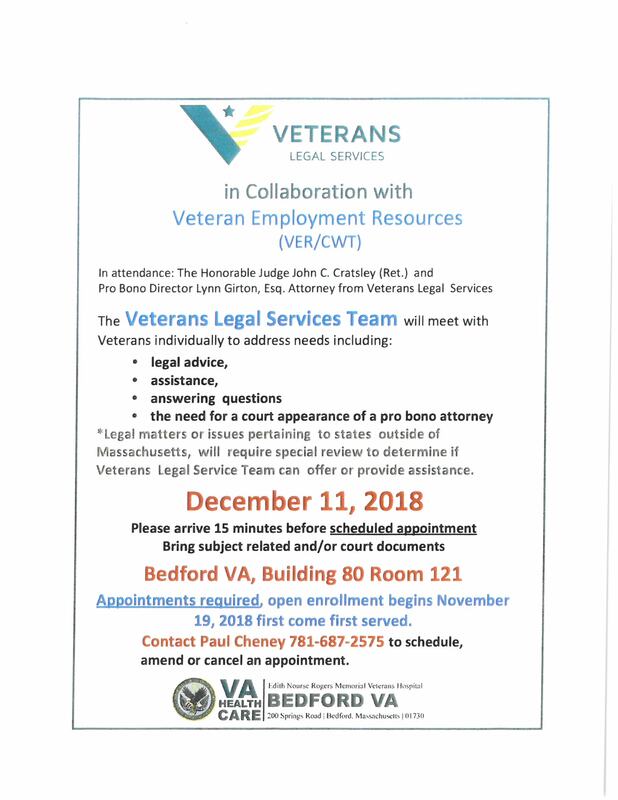 Veterans Legal Services will be at the Bedford VA on December 11, 2018. See Flyer for details. Call Paul Cheney to schedule an appointment: 781-687-2575.